As every two weeks, this Thursday I'll be preparing a fresh Ubuntu Translations Videocast for all of you interested in knowing more about the exciting world of translating Ubuntu. I'd like to combine some basic with some more advanced topics, so that the subjects are interesting to both new and experienced translators. 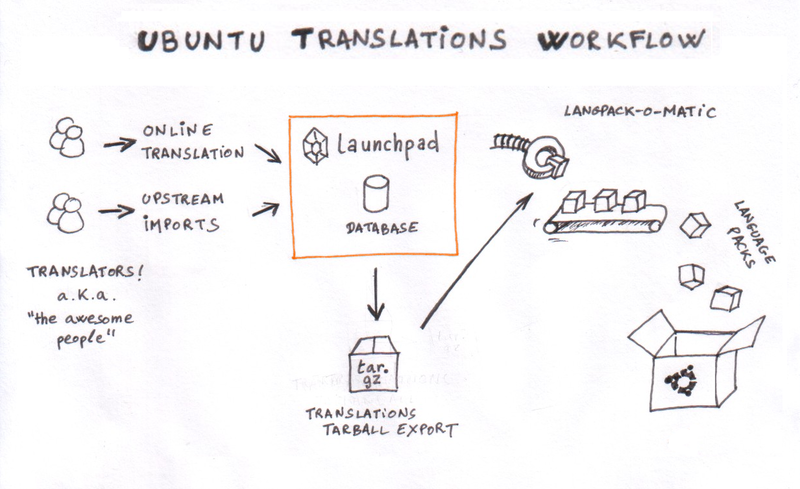 This week I'll be doing a more technical talk (not too much, though) about the translation workflow in Ubuntu and all that happens behind the scenes. Hopefully this will give you an overview of the whole infrastructure and will help you understand why some of the things are implemented the way they are.